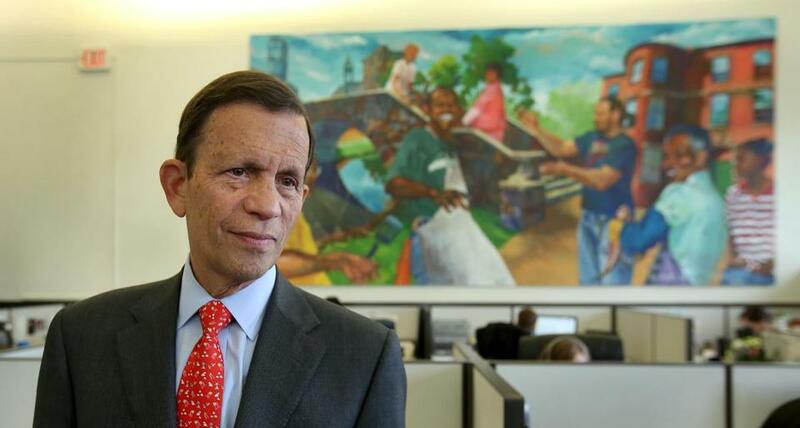 Former state treasurer Steve Grossman is chief executive of the Initiative for a Competitive Inner City. Steve Grossman, the former state treasurer and Democratic gubernatorial candidate, is once again helping small businesses gain access to capital. This time he’s doing it as chief executive of The Initiative for a Competitive Inner City, a Boston nonprofit founded two decades ago by Harvard Business School professor Michael Porter. On Friday, ICIC, as it is known, released its list of the 100 fastest-growing urban companies in America. Grossman spoke about business, politics, and offsetting the effects of his sweet tooth. 1. The ICIC is growing. Grossman has beefed up the staff from 16 to 24 employees and increased fund-raising to create a $3.6 million budget. The nonprofit is already in five cities and next year has plans to expand into Chicago and Milwaukee. The group aims to boost urban businesses by coaching entrepreneurs, helping them with loans, and conducting research on the inner-city economy. Before entering politics, Grossman ran a family-owned marketing and printing company in Somerville. 2. Grossman goes to work every day in one of Boston’s hottest neighborhoods: Dudley Square. The ICIC is housed in Palladio Hall, a 19th-century landmark that once was a dance club. The office is down the block from the recently restored Ferdinand Building that now serves as headquarters for Boston Public Schools. The ICIC had been in the Financial District but moved to Roxbury three years ago to better align itself with its mission to revitalize urban economies. 3. In his spare time, Grossman works for Governor Charlie Baker. After the Republican beat Democrat Martha Coakley last November, Grossman reached across the aisle to Baker. The two met at The Breakfast Club, an Allston diner, and Grossman offered to help the governor in any way. In June, Baker appointed Grossman to the MBTA pension board, which has come under scrutiny for accounting, investment, and management practices at the $1.6 billion fund. A zing to a political rival? No, just what Grossman asked for. 4. Grossman, who served as the chairman of the Democratic National Committee in the late 1990s, thinks the CEO candidates Donald Trump and Carly Fiorina will fade away, and Jeb Bush will land on the ticket under the theory that voters will ultimately opt for “the steady hand on the tiller.” As for the Democrats, Grossman remains an active fund-raiser and staunch Hillary Clinton supporter. He doesn’t think Clinton is in trouble and will still be the party’s 2016 presidential nominee, even if Vice President Joe Biden jumps in the race. 5. At 69, Grossman looks better than ever, despite a penchant for ice cream and M&Ms. His secret? He shares the same personal trainer as outgoing Red Sox chief executive Larry Lucchino. After the election season, Grossman began working out twice a week with mind-body consultant Ramel “Rami” Rones, a former Israeli soldier who mixes martial arts with strength training exercises. Grossman says he can do 60 push-ups.